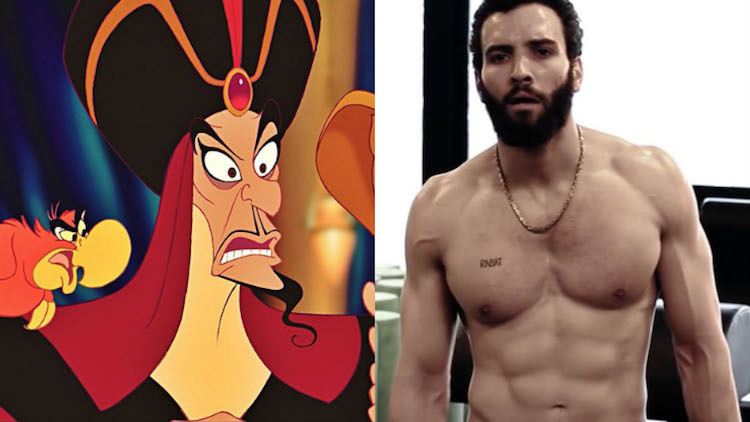 "Hot Jafar" (aka Marwan Kenzari) is stealing the show. Disney’s 2019 live-action adaptation of Aladdin has been somewhat laced in controversy. First they cast Naomi Scott as Jasmine, an actress of Indian descent they settled on after deciding that it was too hard to find someone of Middle Eastern descent as intended. Then, in a rare moment of storytelling innovation with these live-action remakes, they created a new character named Prince Anders for which they cast a white actor, played by Billy Magnussen. Now, in exclusive photos on Entertainment Weekly, we finally see Will Smith, who is looking generally terrible, and that’s kinda hard to do. Instead, social media is enjoying a taste of the dark side, showing much love for Marwan Kenzari as Jafar, who’s honestly hotter than any Arabian night. They’ve even created the hashtag, #HotJafar — and there are plenty of shirtless photos in the actor’s past to more than earn that thirsty moniker. Although the live-action adaptations of our favorite Disney classics is starting to get old, I think we’ll make an exception for this one, which premieres May 24. Meanwhile, we’ll enjoy these thirsty tweets, accompanied by some equally thirsty photos of #HotJafar.